Most business owners will at some stage will need to Lease a Commercial Propety. Leasing a commercial property for your business can be a very costly and complicated experience. Proper detailed planning and going through the right process can be very beneficial in the long term. Have you have carried out your market research and/or sought business advice on an ideal size and location for your large or small business. Leasing a commercial property for your business where you have to pay rent on a long-term basis is a significant expense. Locating your ideal premises can take a long time especially in a tight market. It would be a good idea to allow yourself plenty of time to conduct your due diligence. Rushing your decision can result in a poor decision which can ultimately affect your business. What is your ideal position? Knowing where your target potential customers are, and their demographics such as age, and buying behaviours can go a long way towards finding the right site. It is critical that the property is zoned for your particular business use? What is the current development approval for premises? Find out if there are any government regulations that you need to comply with. Seek appropriate legal advice from your commercial property solicitor at this early stage before wasting your time negotiating other terms. The rent amount is usually the first thing you need to negotiate with the landlord. It would probably be a good idea to have a good knowledge of competitive rents in the area to support your argument for a fair rent. More importantly, can your business support it. Once you have agreed on the actual rent the next step is the term of the lease. Moving your operations and/or fitting out a new premise can be very expensive. It is crucial that you work out the best lease agreement term to justify starting costs or the cost of relocating there. For example, if you are on a short term lease, you may put yourself in a position where the landlord they decide not to renew your lease. On the other hand, if your rental period is too long, you may have trouble assigning the contract to someone else if you outgrow the premises and need to move your business. For this reason, you should really think about how long your lease should be. Market review rent is when the increase in rent corresponds with the current market conditions for that type of commercial property. Additionally, when a market review rent is disputed most leases allow for an independent valuer to be appointed to determine the new level. Sometimes they may be a combination of more than one of these — for example CPI plus a fixed percentage. More importantly, these increases should be taken into account to ensure your business can afford them in the future. Generally, there are usually other costs associated with the lease of the commercial premises. Outgoings and operating expenses are the costs incurred by the landlord in maintaining, repairing and operating the leased premises. These costs include items such as land tax, Council rates, Council rates, General repairs. Security, cleaning of Common areas, property maintenance, and building insurance. Commercial tenants usually pay outgoings as a percentage of the total floor area of your leased premises. Traditionally, this is termed as the net rent form of payment. I.e., the tenant pays the basic rent plus a separate outgoings cost. Sometimes the outgoings are estimated and paid as a lump sum with the rent. This is called gross rent. More details can be found in our article gross versus net rent article. In addition, to the building insurance paid as part of the outgoings to the landlord, most lessors insist that the lessee has a minimum level of Public liability insurance and in many cases plate glass insurance. In general, these costs are usually agreed to with the landlord. Some types of leases such as retail leases in some states may have different requirements on legal payments. Your solicitor would usually outline your costs and obligations when negotiating your contract. The bank guarantee or security bond depends on current business conditions, how difficult it is for the landlord to find a suitable tenant and the possible risk you may be in default of the lease. Generally, but not always the more in demand or unique the premises is, the higher the bond. On the other hand, reputable businesses such as large public companies and franchise operations can usually negotiate a lower bond than a less known business. Although these are more common in the retail environment, many commercial leases have them. Under this clause, you are required to refurbish your premises within an agreed period to a minimal professional level decided by the landlord during the time of your lease. This could also include that you must “make good” the premises. This make good clause in the lease requires the tenant to present the premises in a similar condition to the condition when premises was initially leased. Sometimes in slower economic times, the landlord may offer extra incentives such as contribute a certain amount of funds towards an initial fitout. The general maintenance and replacements required to keep your premises presented well, and an excellent working condition is usually carried out by the tenant. 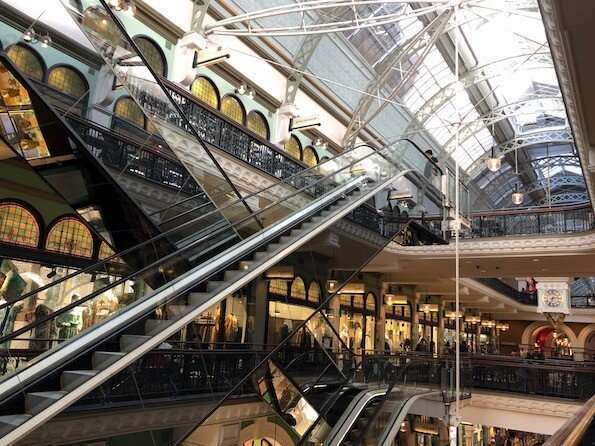 Relocation clauses are more common in shopping centre retail leases. Under this clause, the landlord at any time within the conditions and allocated time outlined in the contract can move the business owner to another location within the shopping centre. Often with little if any compensation. This clause is becoming more common in major shopping centres. A demolition clause is when the landlord can terminate the lease and vacate the premises for significant refurbishment or redevelopment within short notice outlined in the contract. Some leases can have other conditions where the lessor can terminate your contract for any other reason on your commercial property. Carrying out any building works on the property. Specifically, your solicitor will be able to make sure that your interests are protected and explain to you that there are no conditions or clauses which are illegal, unfair and unreasonable. They can also clarify any costs or fees that the tenant is responsible. An accountant can advise you on the financial aspects of the lease including the rent and term best suited to your business and cash flow. They will also advise you on any tax implications including GST and other items required by the Australian Taxation Office. Depending on your current business and financial position it can mean that buying commercial property can be better a better long term proposition. Your business advisor could actively assist you in understanding your business requirements for your lease including information on regulatory requirements, type of lease and location. In conclusion, you need to do your market research when leasing commercial property for your business. Look around and see what the local conditions are. Your specialist commercial real estate agent with extensive experience in buying selling leasing of Commercial Business Property should now have all your requirements to shortlist your ideal business property. Like to discuss this further? The contact Con Tastzidis on 02 9882 2221 or 0403 118830 or email at invest@cstproperties.com.